The Body Crystal Deodorant Stick now comes in roll-form. 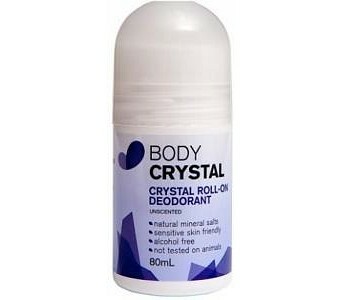 Now people who prefer roll on deodorants can enjoy the benefits of crystal. Fragrance free, these deodorants create an invisible layer of protection on the surface of the skin which kills bacteria, preventing body odour and not just covering it up like your usual deodorants. Contains no Aluminium chlorohydrate / Aluminium chlorohydroxide, no alcohols, no parabens.